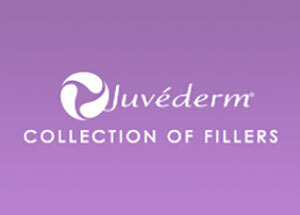 Juvederm is a dermal filler that provides a smooth, long-lasting correction of facial wrinkles and folds. Juvederm contains the highest concentration of non-animal, cross-linked hyaluronic acid of any dermal filler currently available. These unique attributes provide optimal results with a single treatment in the majority of patients and deliver sustained results for twelve months or longer. The active ingredient in Juvederm dermal filler - hyaluronic acid - is a naturally occurring, biodegradable complex sugar found in the human body and in all living organisms. Hyaluronic acid hydrates the skin and adds volume, contributing to the overall appearance of the skin. The ability of cells to produce hyaluronic acid diminishes with age, often resulting in the formation of facial wrinkles and folds as the skin loses volume. Juvederm restores this acid to the skin, filling and augmenting the treated area. What can Juvederm do for you? As you age, the years of laughing, smiling, talking and tanning inevitably crease your skin. These factors can leave you with lines and wrinkles. You will also start to notice that the size of your lips has begun to shrink. Juvederm injections can be used for temporary line and wrinkle removal or lip enhancement. Juvederm is injected under the surface of your skin to restore the natural contours of your face. Juvederm treatment is very brief and has no downtime. The product is injected just below the surface of the skin with a very fine needle. The body absorbs the product over a period of time, so ongoing treatments are necessary to maintain results. If treatment is discontinued, your face will gradually return to its natural contours. How long Juvederm results last? Results last for about 12 months, sometimes longer. Most patients are very happy with results, but if there is any area that you want to change after the procedure it can be is easily molded with Hyaluronidaze - an enzyme that dissolves Hyaluronic acid, to assure your long term satisfaction. Can I have it done in Pregnancy and during Breastfeeding? Although it is a natural and not a toxic product, there is no clinical data to prove its safety during Pregnancy or Breastfeeding, so it is better to wait until you are done with your maternal obligations.